I'm back with more gorgeous designs from Kim Cameron. I've scrapped up my boys in school scenarios. I used to be a teacher so this subject remains dear to me. 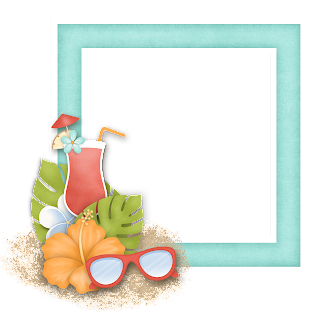 Scroll through some fun inspiration and check out a previous freebie you may have missed. 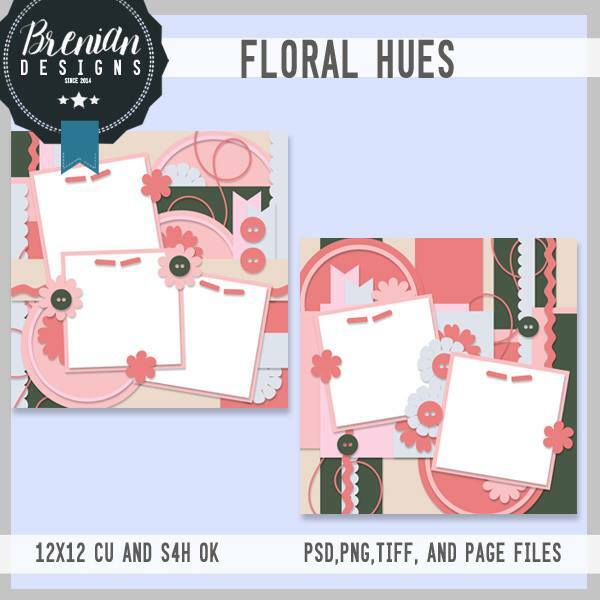 This is a coordinating template you can find on Kim Cameron's Group on Facebook. I did quite a twist to it. Skip over there and see the original and get the free download in the challenge. Learn and Grow and Learn and Grow Art or two kits that coordinate perfectly together. You can easily scrap up countless pages with both of these kits. Think about using them hybrid style. Especially, if you are a teacher. 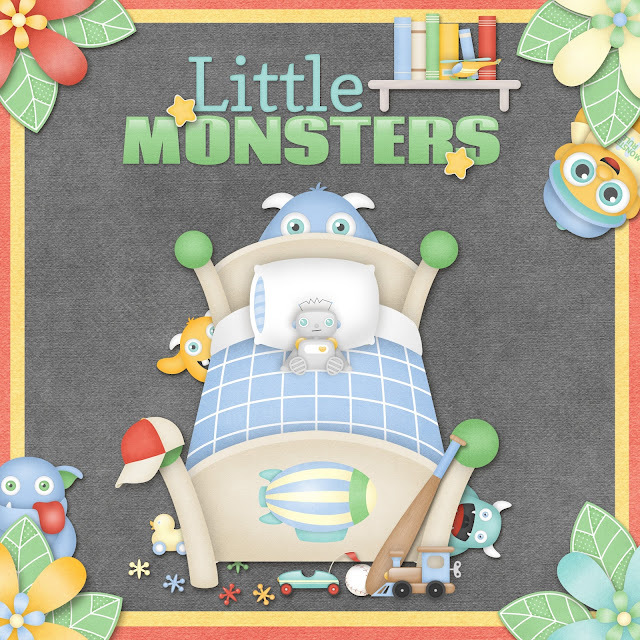 Here's another new kit from Kim, Little Monsters. I've written a fun story for my son a while ago and this will be the title page. I'll get it printed out in regular digital scrapbooking fashion and he'll have a lovely printed book that his mommy wrote especially for him. Try it for your kids! If you'd like to see another hybrid book I've made for my kids, click here. This is a freebie I offered earlier this summer. 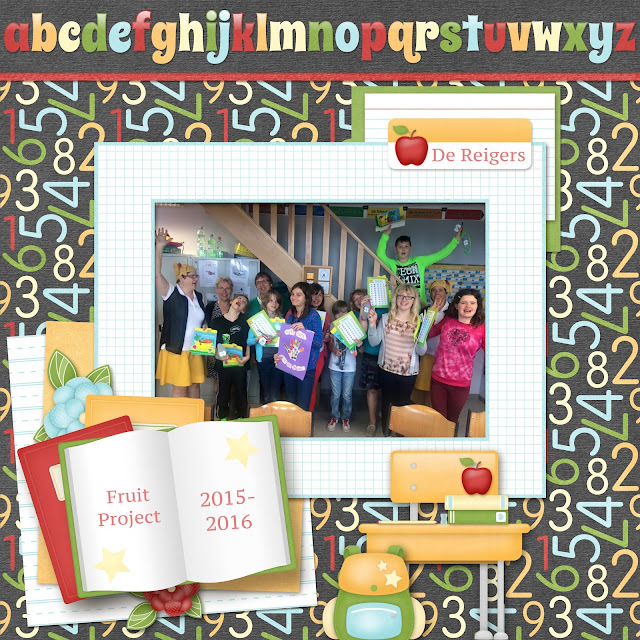 Click on the image to get the blog for the download link. You will LOVE the inspiration there! Thanks so much for hanging with The Cherries! I'm off on a long vacation, but had to schedule in one of my all time favourite free printables to date. This lovely little ballerina. Download her, print on rigid paper if you've got it, cut it out, layer her up just the way you'd like and get crafty. You could attach her to a stick, wooden skewer or straw and use her as a puppet or shadow puppet. 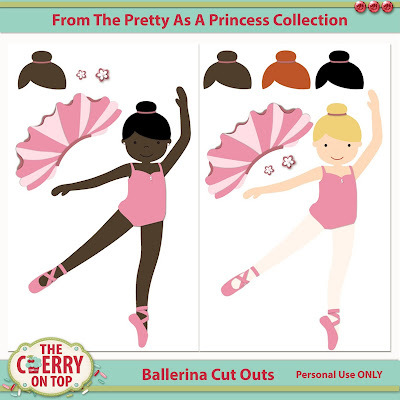 You could scrap her up in a scrapbook with our goodies from the Princess collection because she coordinates wonderfully with them or you could use her on a hand made card for your little ballerina. These are no longer free. Find them in our shop, Kreative Design Studio. They are just .79 cents! You can use the flowers for in her hair or for around her waist. 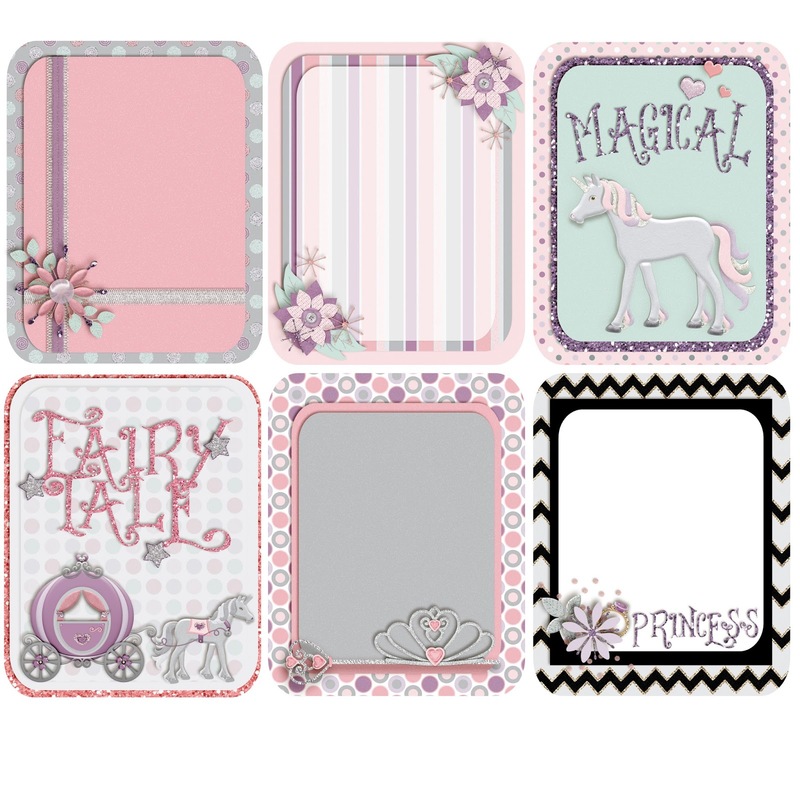 Here are some of our previous goodies from the Princess collection that you might also like. These are also just .79 cents. 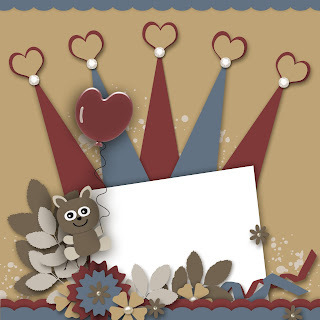 These are intended for cup cake toppers, but they would make adorable stickers, too. The'd look great scrapped up as well. These are coordinating Cute Cards. I made a mini album out of them and scrapped them up digitally as well. 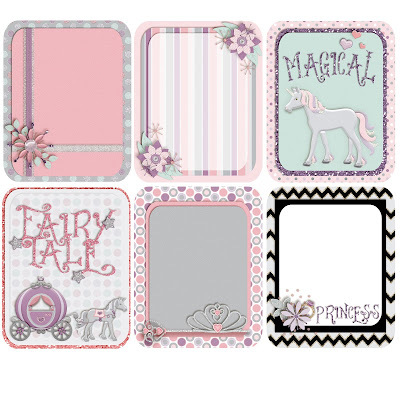 Line up your Cute Cards, glue, fold, add pictures are you've scrapped fast. 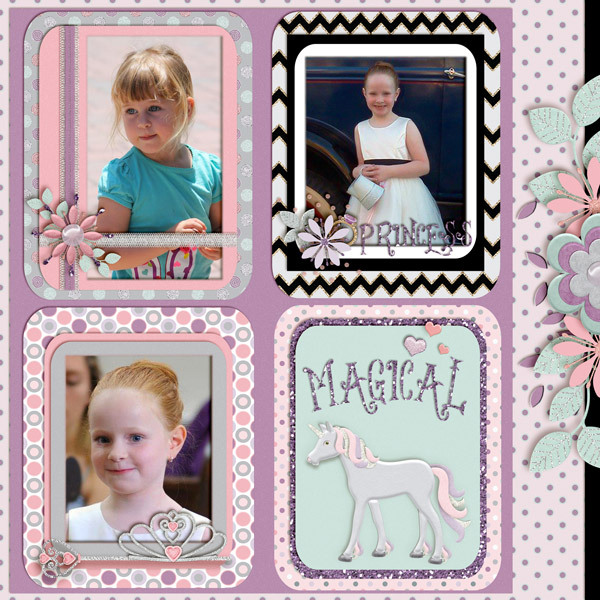 Get the framed version of these cute cards, back them with your favourite photos and you're almost finished. These are four gorgeous paper stackers. We've got loads of examples on how to use these. Get inspired and get scrappy. 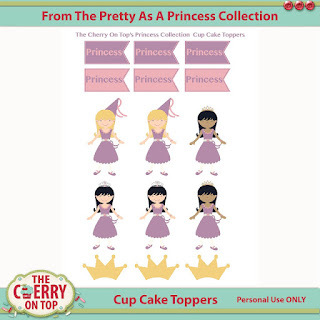 Type in Princess in the search field located at the top right of the blog or hit up our Pinterest board, The Cherry On Top's Freebies. You can find all of our freebies there and inspiration, too. I'm thrilled you made it to The Cherry. We have new freebies posted every single week. If you're following us on Pinterest, here and on Facebook, then you know full well how many freebies you can get in a single day and well over a dozen by the end of the week. Allow me to share our schedule so you know just when to stop in, when the subject fits your liking. Tuesdays, we share traditional scrap and paper projects. Thursdays, we throw back and remind our fans of older freebies they may have missed. 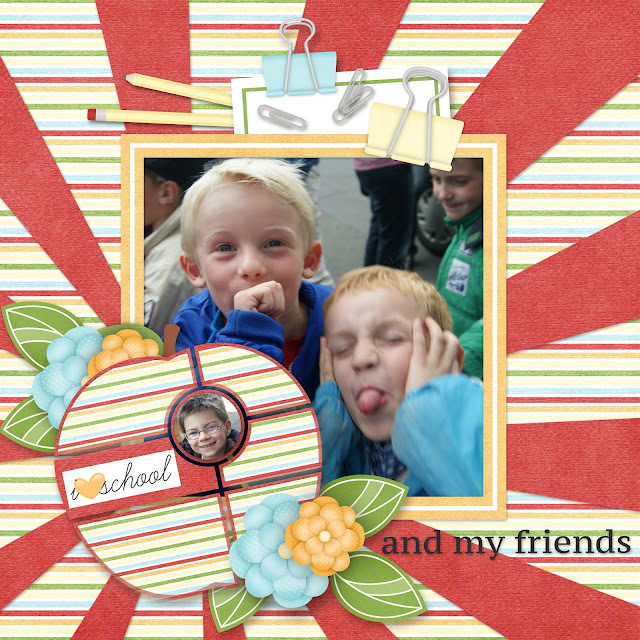 Freebie Friday is our most popular blog. Often we post a lot more than one freebie. Saturdays, we do hybrids and often provide free printables there, too. Pretty good set up, right? 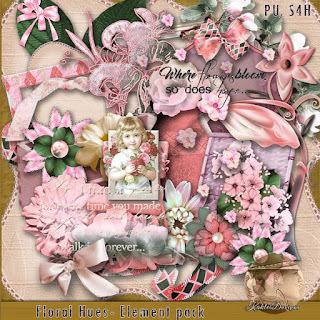 Here is our portion of the Floral Hues Blog Train. You can use it as a template or even a quick page if you like. Keep scrolling to see what some of the other designers are offering as well as some of our most popular freebies. Our templates are in tif and psd format only. I used Rub A Dub Dub from The Kit Cart Designs. I changed up the working a bit and you can do the same. 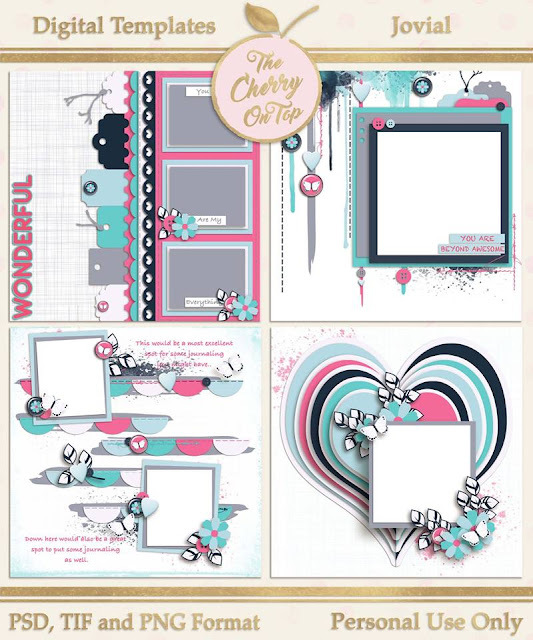 My super scrappy sister, Cristiana designed this lovely layout using it as a template. 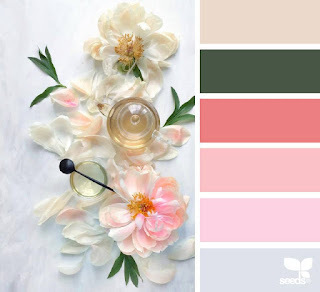 This is August's colour palette and here are a few examples from the other designers. This is the list of all of the participants. All of our freebies are for Personal Use Only. See a couple of hot ones that you may have missed. A gorgeous frickie. A frickie? Click on the preview to see for yourself. 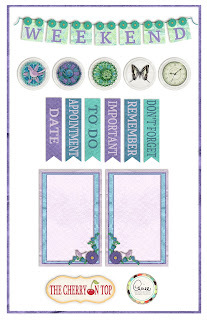 Our free monthly planner inserts are always popular, too.